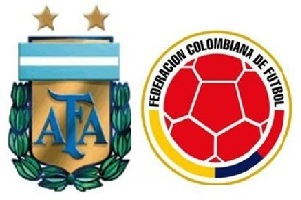 Argentina will face Colombia in the Quarter-finals of Copa America. Argentina is the favorite to lift the trophy. Giraldo Martino's team has 8 wins, 1 draw and 2 losses since the autumn of last year. Their attacking players in the face of Messi, Aguero, Higuain and Di Maria are able to penetrate any defense. Colombia was defeated by Venezuela in their opener and made a draw against Peru, which means that Los Cafeteros qualified as one of the best third-placed teams. Bocca will be suspended in this game and Falcao will lead the attack of the team. They have a lot of problems with scoring goals, netting just one in the group stage. Argentina have won 7 and drawn 3 in their last 12 matches against Colombia. Now they will add one more win and will qualify!